The Heritage Chronométrie Perpetual Calendar Sapphire is the latest interpretation of the perpetual calendar complication from Montblanc. Its smoked sapphire dial allows a view on the movement and the functions beneath, giving a technical look to the timepiece. The perpetual calendar indications are featured on transparent counters that have been crafted in a dark-blue colour that is also used for the flange and the alligator strap. 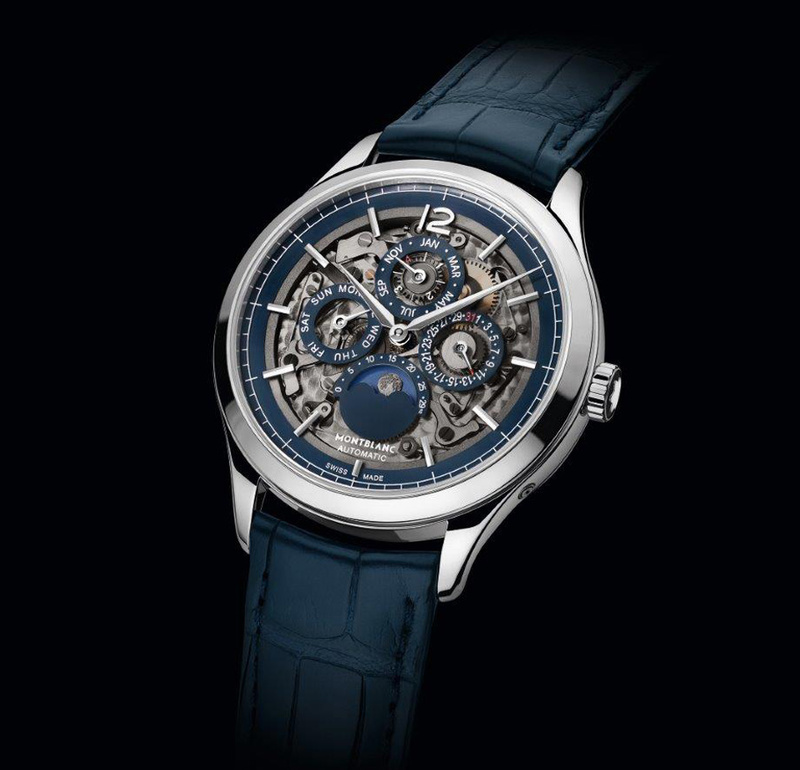 Other details include a white minute track, classic sword-shaped hands and rhodium-plated indexes and numerals directly applied on the sapphire. The timepiece is powered by the self-winding calibre MB 29.15, featuring hours, minutes, day of the week at 9 o'clock, date at 3 o'clock, month and leap year at 12 o'clock, and moonphase at 6 o'clock. Beating at 28,800 vibrations per hour, the movement is also visible through the screwed sapphire crystal case-back. Once correctly set, and assuming that the watch runs continuously, the calendar indications will require no further manual adjustment until the year 2100. If necessary, however, should the watch not be worn for a period longer than the duration of the power reserve of 42 hours, small correctors fitted into the middle-piece of the case make easy to adjust all the indications. 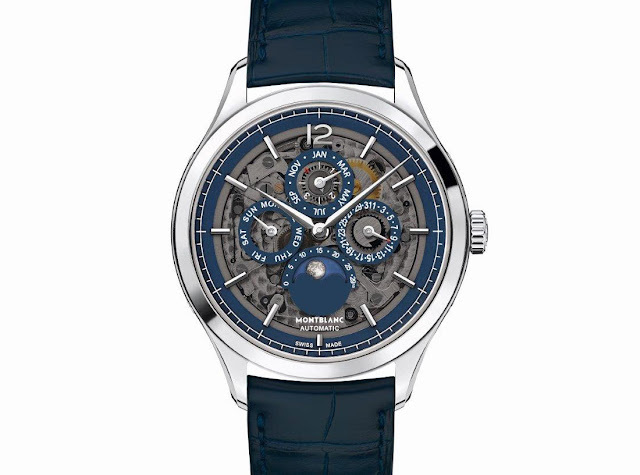 The Heritage Chronométrie Perpetual Calendar Sapphire is the latest interpretation of the perpetual calendar complication from Montblanc. Its smoked sapphire dial allows a view on the movement and the functions beneath, giving a technical look to the timepiece. The Montblanc Heritage Chronométrie Perpetual Calendar Sapphire (ref. 118513) is fitted into a new slim, polished, 40 mm, steel case that measures a mere 9.6 mm in height and features slim horns. The watch comes with the Montblanc Laboratory Test 500 Hours certification.